Objectives – Detail priorities that support church vision. Goals – Define goals for each value statement. Strategies & Action Plans – Goals are translated into choices. Measures – Define how you know the strategy is working. 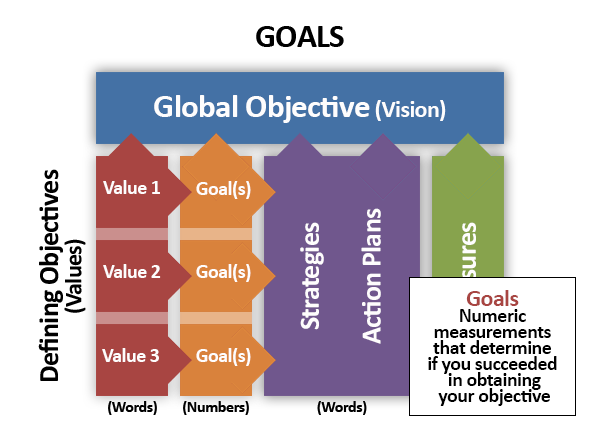 Goals – Attach numeric measurements to your global and defining objectives. What does your church need to achieve? What is your numerical goal? Develop a goal for each strategy and plan. Read more about setting ministry goals at MinistryActionPlans.com.